On October 19, 2016, a privilege escalation vulnerability in the Linux kernel was disclosed. The bug is nicknamed Dirty COW because the underlying issue was a race condition in the way kernel handles copy-on-write (COW). 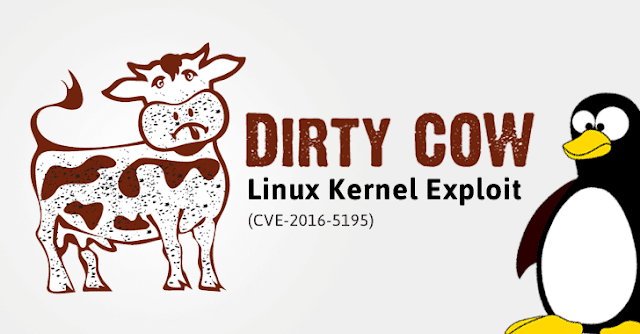 Dirty COW has existed for a long time — at least since 2007, with kernel version 2.6.22 — so the vast majority of servers are at risk. Exploiting this bug means that a regular, unprivileged user on your server can gain write access to any file they can read, and can therefore increase their privileges on the system. More information can be found on CVE-2016-5195 from Canonical, Red Hat, and Debian. Fortunately, most major distributions have already released a fix. All of the base images on DigitalOcean have been updated to include the patched kernel versions, so future Droplets you create will not need to be updated. However, if you're running an older server, you can follow this tutorial make sure you're protected. To find out if your server is affected, check your kernel version. Some versions of CentOS can use this script provided by RedHat for RHEL to test your server's vulnerability. To try it, first download the script. Then run it with bash. Output Your kernel is 3.10.0-327.36.1.el7.x86_64 which IS vulnerable. Red Hat recommends that you update your kernel. Alternatively, you can apply partial mitigation described at https://access.redhat.com/security/vulnerabilities/2706661 . Update and upgrade your packages using apt-get. Finally, you'll need to reboot your server to apply the changes. At this time, we're still waiting for Red Hat to release a patch. This tutorial will be updated with instructions on how to secure your CentOS server as soon as possible. In the interim, you can use this workaround from the Red Hat bug tracker. Make sure to update your Linux servers to stay protected from this privilege escalation bug.